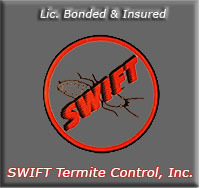 Choosing a Termite Control Company – Swift Termite Control Inc. 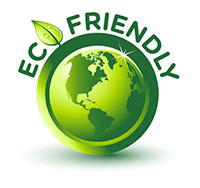 Choosing a Termite Control Company is no different than choosing any other service company for your home. First impressions are always a big factor, then you proceed to deal with them on a more professional level by assessing their knowledge of the business, their genuine concern for your problem, how well kept is their equipment, their presentation, scheduling and you should ask if they are licensed and insured. After you have selected a Termite Control Professional, and they have assessed your problem, you should receive a complete inspection report along with a work contract and fumigation notice. This documentation will give you a thorough explanation of the work to be performed and the chemicals that are going to be used. It is best to ask the Inspector to speak to you in person about these reports, in case you have questions. This is especially important if you are receiving a complete fumigation.